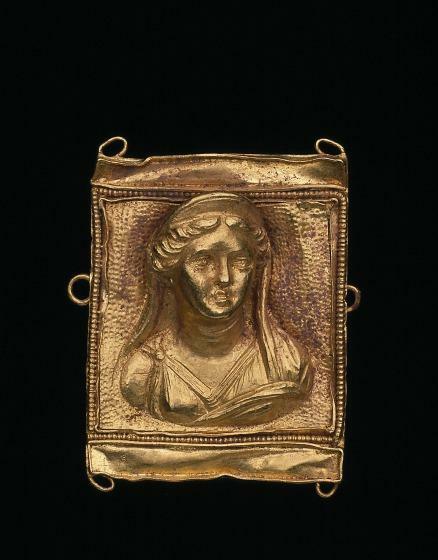 Miniature sculptures, often of outstanding quality, played an important role in Hellenistic jewelry. 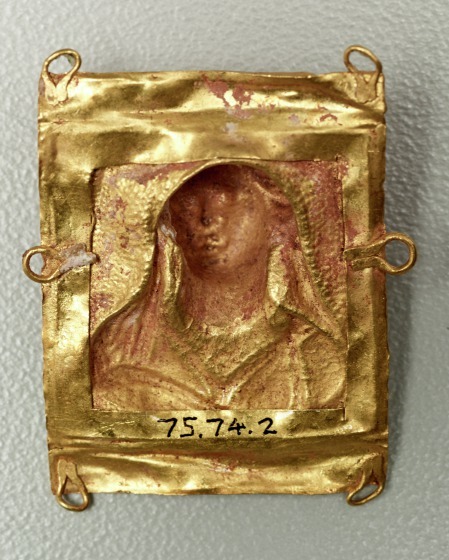 This plaque features a high-relief female bust, possibly that of the goddess Aphrodite, set against a steepled background. The relief plaque is bordered by a row of beaded wire and is affixed to a rectangular gold sheet with wire loops attached to each corner and the sides. The head of the goddess is turned slightly to the left. 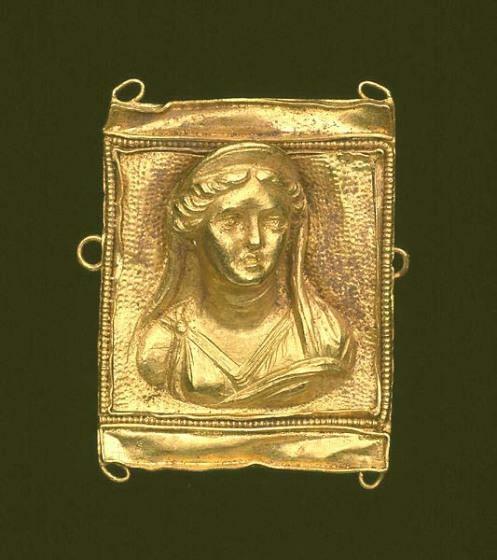 She wears a diadem, veil, and chiton; a cloak is draped over the left upper arm. This plaque was allegedly found with a pair of ear pendants featuring Nike figures (1991.75.74.1.a-b) and a pair of small masks (1991.75.74.3, 1991.75.74.4), all in the collection of the Dallas Museum of Art. Anne Bromberg, "Eros earrings," in Dallas Museum of Art: A Guide to the Collection, ed. Charles Venable (New Haven, NJ: Yale University Press, 1997), 30. 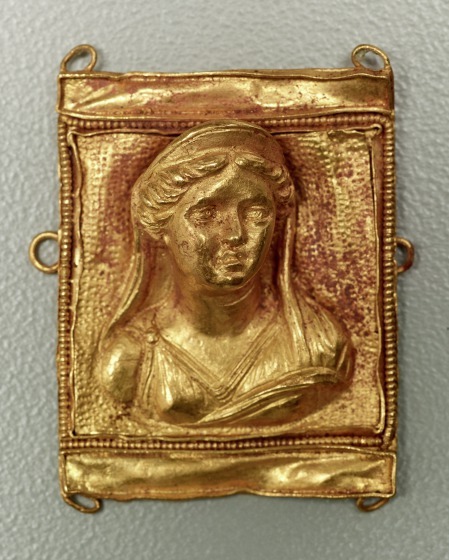 Barbara Deppert-Lippitz, Ancient Gold Jewelry at the Dallas Museum of Art (Dallas: Dallas Museum of Art in association with the University of Washington Press, 1996), 64-5, 143.